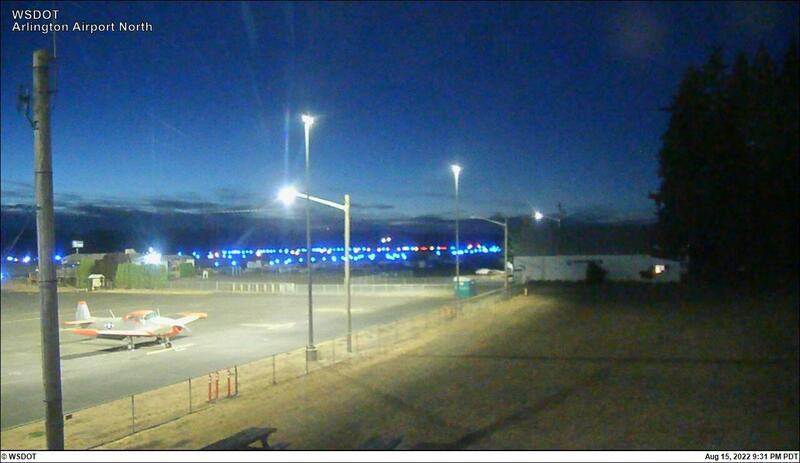 Note: There are four views from the Arlington Municipal Airport web camera showing the airport from four directions. 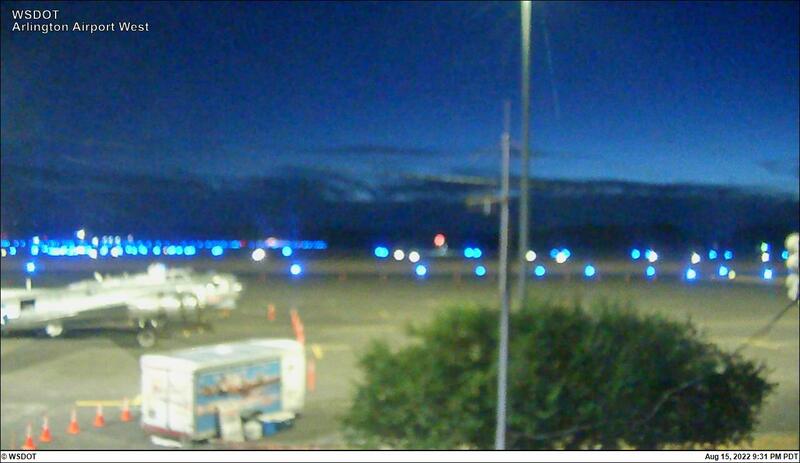 These camera images are provided courtesy of the City of Arlington – Arlington Municipal Airport. 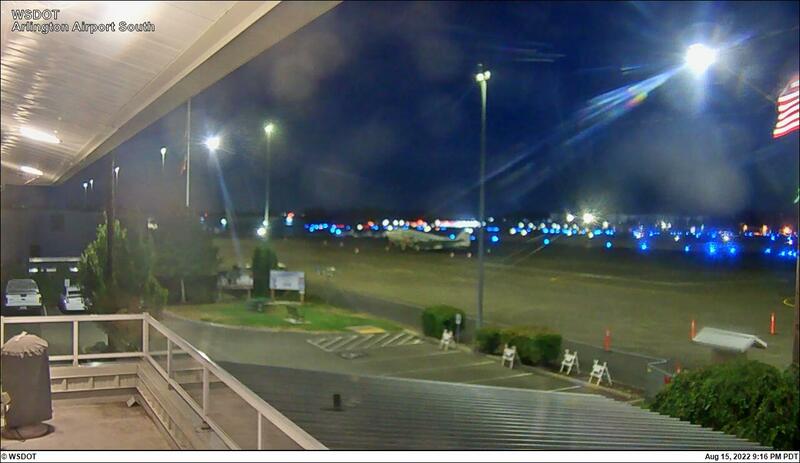 The cameras are mounted on the second floor of the airport office building on the Northwest and Southwest corners. The cameras provide four views — West towards Runway 11 Approach; North towards Runway 16 Approach; South towards Runway 34 Approach; and Northwest towards Ramp Area. The images displayed should indicate the direction “West, North, South, and Northwest” along with a time/date stamp. 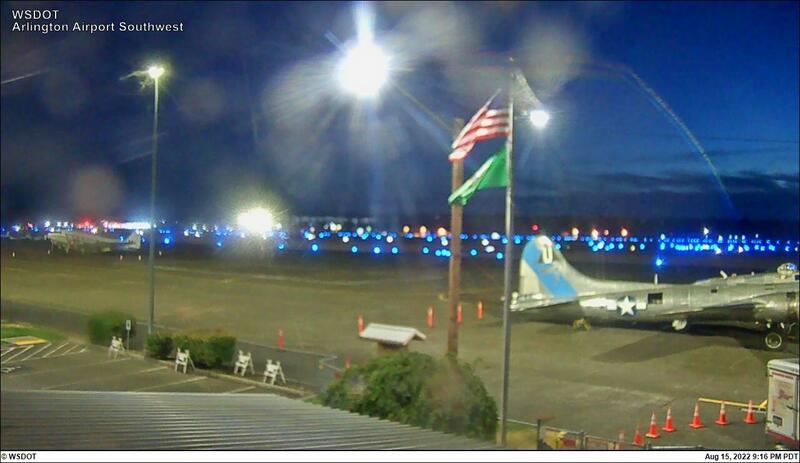 To report a problem with the camera contact: Arlington Airport, 360-403-3470 or email airport@arlingtonwa.gov.